We have over 17 years of licensed insurance experience when dealing with roof repairs and roof replacement. This makes us especially qualified to work with, and negotiate with, your insurance company to make sure you get the maximum benefit from your roofing services claim. We will make sure your claim covers repair work or new roof installation that is completed properly, and with a warranty you can trust. Roofing Resources of Georgia, LLC will always deliver on our promise to use the best quality materials, employ the most professional roofers, and provide courteous customer service. Roofing Resources of Georgia stresses integrity, excellence in workmanship, and strong positive relationships with our customers. In short, we want to be the best roofers in the state. 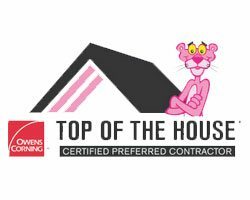 Contact us today to get your roof service started. What a TOP NOTCH COMPANY.